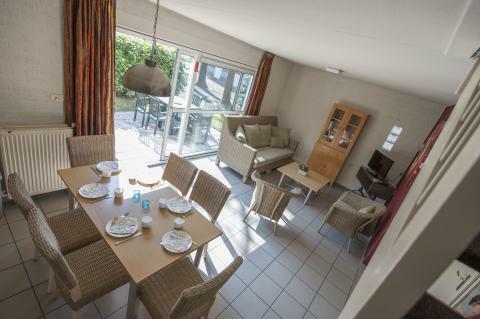 Roompot Bungalowpark De Katjeskelder in Oosterhout - the best offers! This price applies to 8-person cottage KE, with the arrival as 6 May 2019, 4 Nights. This price applies to 6-person cottage KBL, with the arrival as 6 May 2019, 4 Nights. This price applies to 8-person cottage KCL, with the arrival as 20 May 2019, 4 Nights. This price applies to 8-person cottage KE Comfort Restyled, with the arrival as 6 May 2019, 4 Nights. 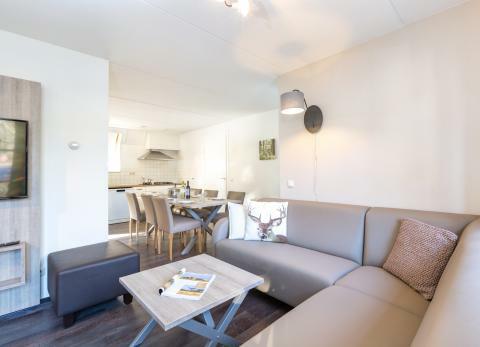 This price applies to 6-person cottage 4+2 (tot 12 jaar) K6KV, with the arrival as 6 May 2019, 4 Nights. 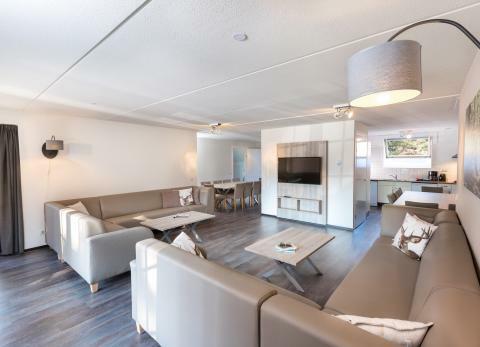 This price applies to 6-person cottage KD Comfort Restyled, with the arrival as 6 May 2019, 4 Nights. 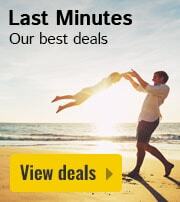 This price applies to 12-person group accommodation FV12V, with the arrival as 13 May 2019, 4 Nights. 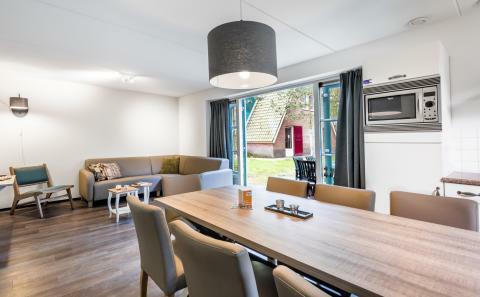 This price applies to 14-person group accommodation FV14L, with the arrival as 6 May 2019, 4 Nights. 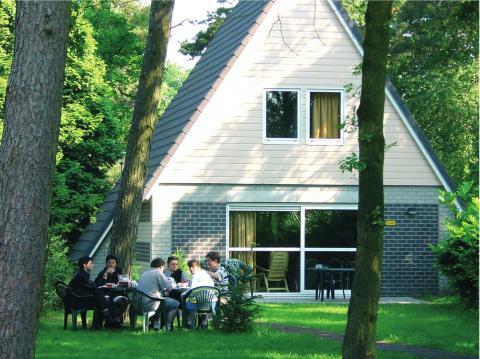 This price applies to 18-person group accommodation FV18, with the arrival as 6 May 2019, 4 Nights. This price applies to 22-person group accommodation FV22L, with the arrival as 6 May 2019, 4 Nights. 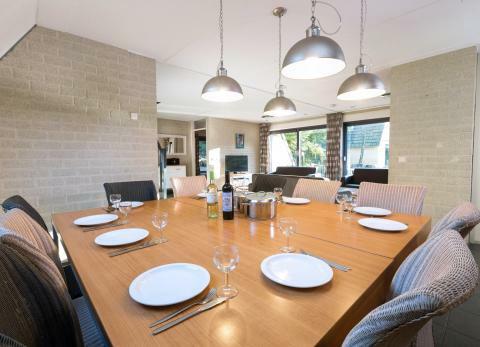 This price applies to 22-person group accommodation FV22 Comfort Restyled, with the arrival as 6 May 2019, 4 Nights. 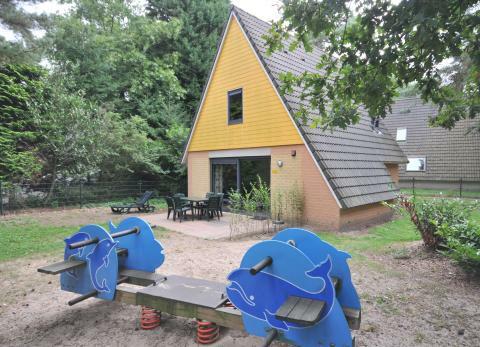 Roompot Bungalowpark De Katjeskelder is located on the Vrachelse Heide, a stunning heathland in West-Brabant. 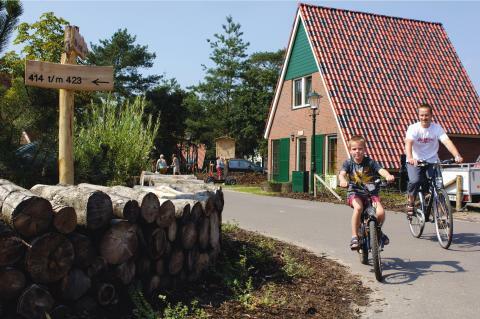 The park offers many facilities for you and your children, and the surrounding woodland is ideal for hikers and cyclists. 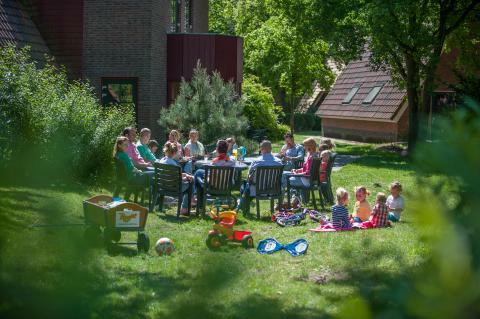 The whole family will be entertained at Roompot Bungalowpark De Katjeskelder. 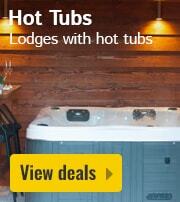 Enjoy the adventure mini-golf course, the new bowling lanes, or the indoor pool. 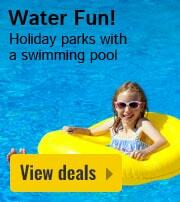 On sunny days, you can take a refreshing dip in the outdoor pool. In high season there is an extensive sports and entertainment programme. The children will have hours of fun in the tropical indoor pool with water slide. Kids World, a crafts corner with several playgrounds, is ideal for the little ones. There is also a trampoline at the park. 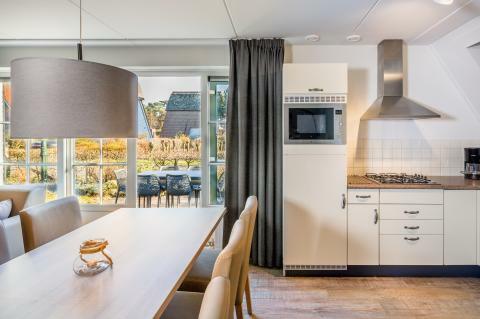 There is a restaurant offering delicious meals and a cosy atmosphere at Roompot Bungalowpark De Katjeskelder. 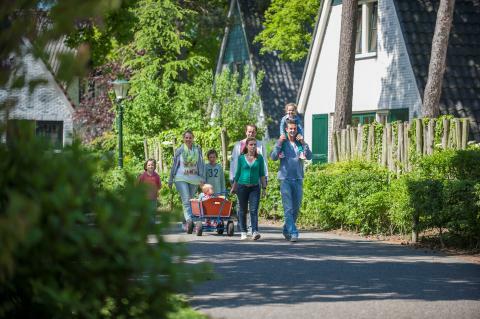 While staying at Roompot Bungalowpark De Katjeskelder, you can explore the area on foot or by bike. 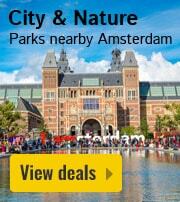 Stroll through the beautiful wooded nature and enjoy the peace and quiet. The fairytale-inspired Efteling theme park is easily within reach. You can also go on safari in Safari Beekse Bergen. 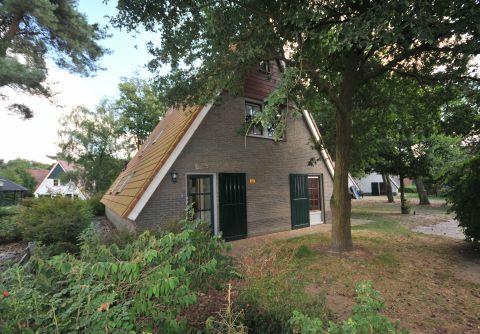 In Oosterhout you can visit the Sacred Triangle, an area with three ancient abbeys. 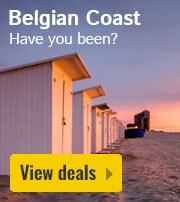 For a night out or a city trip you can visit Breda, where you can find several bars, shops and nightclubs.